Ryan first became involved with the Montana Learning Center in 2013 as a member of the summer camp staff. Eventually he joined the board of directors. Ryan has been Montana Learning Center’s executive director since the fall of 2016. Ryan continues to work as a science teacher in Clancy, Montana. Teaching science has been his profession for the past seven years. Ryan has served on the advisory board of the Montana Space Grant Consortium, as well as the education committee of the International Society for Optics & Photonics in Engineering. 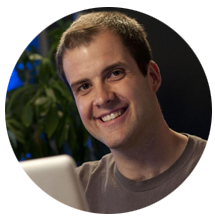 While attending Montana State University (MSU) in Bozeman, Ryan worked for NASA for four years. For two summers, he worked at the NASA Goddard Spaceflight Center on the James Webb Space Telescope mission, the successor to the Hubble Space Telescope. In addition to collaborating with the Smithsonian’s National Air and Space Museum and Bill Nye the “Science Guy”, he supported the James Webb Space Telescope mission in the fields of education, public outreach and public affairs. Before attending MSU, Ryan studied at New Mexico State University-Alamogordo. While there he worked for New Mexico Skies Observatories in Mayhill, NM as a telescope technician, teaching astronomers how to acquire and manipulate astronomical data. He also provided technical support on telescope projects for NASA, the National Optical Astronomy Observatory, Caltech and PBS. While growing up in Leesport, PA, Ryan enjoyed astronomy. He was first exposed to it as a Boy Scout and has been “hooked ever since.” He designed and built a telescope while in middle school and in high school he played a key part in putting the first fully remote controlled telescope on the Internet for students and teachers to use. Ryan has lived in Helena, MT for since 2016. He is married to Melissa Stiles, a physical therapist. They have one dog, a black lab named Tucker, who is the baby of the family. Walt thinks it’s important that teachers and students have high-quality experiences at the Montana Learning Center. As an author for science journals, a seventh and eighth grade science teacher and adjunct professor in Montana State University’s Masters of Science Program, he knows firsthand what excellence in education means. He applies this to the classes he teaches at the Montana Learning Center. For thirty-five years Walt and his wife Bridget have lived in Manhattan, MT. They have two children and five grandchildren. He grew up in Pennsylvania and always enjoyed science. Through work with the Boy Scouts of America, he became interested in nature too. Zachary teaches earth science, biology, chemistry and physics at the secondary level in Whitehall, MT. Since 2015 he has served as a medical lab technician for the 7252nd Medical Support Unit of the US Army Reserve at Fort Harrison, MT. 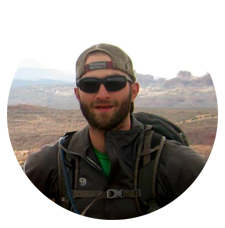 In college Zachary worked as a trail crew worker and wildland fire fighter for the US Forest Service. After earning his bachelor’s degree in wildlife biology, he took a job as a recovery aid for chemically dependent teenagers in Missoula. That experience helped him realize he had a deep passion for learning, particularly in science. He went on to earned his M.Ed in Curriculum and Instruction from the University of Montana in Missoula where he also obtained the Montana Broadfield Science Endorsement. At home in Butte, MT he lives with his wife, Kayla, and two children, Samson and Sully. He feels it is one of his responsibilities as a parent to get his children excited about the natural world. His wonderful 11- year-old chocolate lab, Mr. Grover, will join him again at camp this summer. Kristi has taught in a one-room schoolhouse in rural Polaris, MT with students ranging from grades K-8 for four years. She teaches all subject areas. 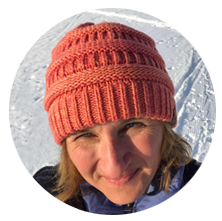 In the winter months, she is the head coach of an alpine ski racing team at Maverick Mountain Ski Area. She taught middle school language arts and social studies in Bozeman for four years where she led trips to Washington D.C. and New York City with the 8th grade classes. She is a 2010 graduate of Montana State University’s teacher education program and received a Master’s Degree in Education in Curriculum and Instruction from there in 2016. Before she became a classroom teacher, she taught summer camps with Montana Outdoor Science School and worked as a behavioral support aide at an elementary school in Bozeman. She volunteered as an English teacher in Phnom Penh, Cambodia in the summer of 2010. Last year, she was co-organizer for the Beaverhead County Rural School Science Fair and is a member of the Montana Science Teachers Association. Kristi enjoys teaching science and art to multiple grade levels at Polaris School. This year, she has introduced STEAM design challenges every week. Her students have transformed caterpillars into Painted Lady Butterflies, and Northern Leopard Frog eggs into the tadpole stage. 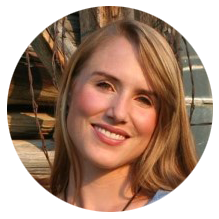 Her prior experience with Montana Learning Center includes designing camp curriculum and working as an instructor in 2015 and participating in the Springtime in the Rockies professional development program for teachers. Kristi lives in Polaris, a community of 100 residents, situated along the Pioneer Mountains Scenic Byway. She is married to Erik. They have two dogs and one cat. In her free time, she loves to ski, hike, travel, and camp. David has been teaching English for 25 years in Fairfield, CT where he lives. He is also a Track and Field Coach for his school. Most summers he looks forward to an annual trip to Montana to be a guide for the Lewis and Clark Leadership Course. His love of the outdoors led him to graduate from the National Outdoor Leadership School’s Semester in the Rockies. His bachelor’s degree in philosophy is from Wittenberg University and a master’s in teaching from Otterbein College. He has received his Wilderness First Aid Certification. David says, “I love the site at Canyon Ferry, with the lake and the feeling of being off the grid. Just being in Montana is a treat for me, and Montana Learning Center has come to feel like a home away from home. 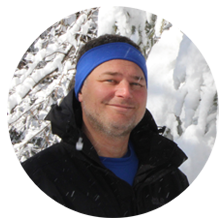 MLC is a perfect base to launch guided wilderness trips for young people.” He co-developed Lewis and Clark Leadership Course that is based at MLC with Chris Parisi from 2000-2004, and successfully led students out of MLC in 2004, 2008, 2017, and 2018. For more than 20 years, he has guided students on overnight backpacking trips each semester as part of an elective course called, Call of the Wild. Married with three daughters, they are making Montana Learning Center a family tradition. Their oldest is an MLC Lewis and Clark alumni, 2017. Chris is a retired airline pilot. 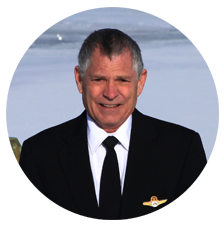 His career at the airlines involved overseeing 140 pilots for the east coast region, ground school instruction, flight simulator instruction, flight simulator check rides, line checks, overseas flights instruction and heavy maintenance aircraft test flights. Over the years he had a wide range of titles including Captain, Chief Pilot, Check Airman, Test Pilot, Flight Instructor and Ground School Instructor. Now he is part of the maintenance team at Montana Learning Center and a part time pilot for the State of Montana. For more than 40 years, Chris has been involved with heavy aircraft operations and aviation sciences. An avid student of photography, Chris has been learning about this field for 20 plus years. Chris is almost a neighbor to the learning center and enjoys living on Canyon Ferry Lake. He is single and has two daughters and two grandchildren. As a science teacher for 19 years, Kate has taught all ages various scientific topics. 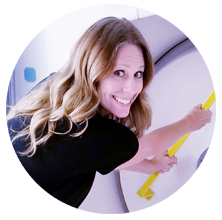 She is passionate about teaching students the importance of science literacy, the applications and relevance to science in our everyday lives, and the need for skilled researchers, healthcare professionals and STEM professionals. Kate has taught for 8 years at MLC and loves the opportunity to inspire students with STEAM in a beautiful Montana setting. As a board member, she supports MLC as a place for students who are curious, motivated and interested in science and engineering, as well as a place for teachers to learn about their own fields. The Anaconda High School HOSA-Future Healthcare Professionals club was founded by Kate. This brings students to competitions, gives them a chance to organize community volunteer projects and helps them learn about the skills needed to enter medical fields. A proud Butte, MT native and current resident, she loves to be outdoors, especially hiking and kayaking. She also enjoys reading, cooking and watching documentaries. Growing up she was inspired by strong women in science. She competed in science fairs, attended girls STEM academies and took as many science courses as she could, gradually getting a major in biology and minor in chemistry. She has a master’s in Interdisciplinary Science with an emphasis in Microbiology. Kate first learned of MLC by participating in family camps. She and her husband brought their children and friends to these family camps. Kate lives with her husband, daughters and two border collies. As the director of the observatory for the Mars Society, Peter operates two telescopes, a solar observatory and a robotic observatory. He also teaches astronomy for Montgomery County Community College and Moravian College in Pennsylvania. He retired after 35 as the Planetarium Director for the Boyertown Area School District where he gave programs to over half a million people of all age groups. Peter is excited to develop the curriculum for the Montana Learning Center’s Explore the Universe Camp, and is looking forward to seeing it through on its first year. 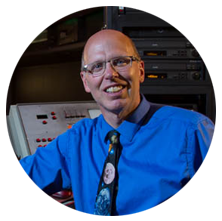 Peter studied secondary education, concentrating on earth science at Kutztown University and completed graduate school in geology and astronomy at West Chester University. 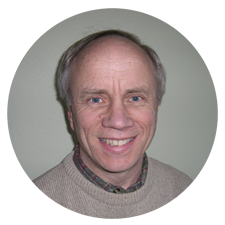 In addition he has done professional research on eclipsing binary stars, and currently works with the American Association of Variable Star Observers on adding to their variable star database. Peter lives in Pennsylvania with his dog Charcoal. His son, Michael, is in college in Australia. Shannon is employed as an elementary school counselor in Whitehall, MT. With 15 years of experience, she conducts group, individual and classroom social skill lessons, coordinates behavioral and supports school-wide initiatives. She works to build a safety net for families living in transition, poverty, foster care, with mental illness or drug addiction. She enjoys opportunities to engage the community and teach parents, faculty members, mentors, and business partners a variety of topics how to nurture a sense of shared responsibility for families in the community. 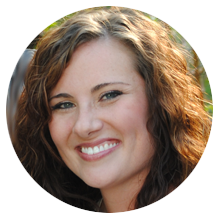 Shannon has held positions as a counselor and instructional coordinator. As a zoologist, she worked with felids and primates at Zoo Atlanta and Chestatee Wildlife Preserve in Georgia. While there she coordinated outreach and interpretive programs for schools, conducted research, created enrichment activities for the animals, and performed veterinary and animal husbandry. She worked with bears at the Black Forest Bear Park in Helen, Georgia and with Montana WILD in Helena. Shannon’s dad helped develop her affinity for science and exploration. They did a lot of home science experiments together. She recalls making rockets out of aluminum foil and matches and launching them from the table in the kitchen on a rainy southern day. In part because her dad gave her a telescope, she now loves astronomy. She believes this interest has helped to develop her understanding of science. She says she “is excited to explore science activities in the Montana Learning Center camp setting. I look forward to building partnerships with kids and staff through creative problem-solving, teamwork and mutual successes!” She is also eager to try some of the activities she learned at the NASA Northwest Earth and Space Sciences Pipeline summit with the campers. Shannon lives in Helena with her boyfriend of three years, Eric, two dogs and two cats. When not working with children, looking up at the night sky, or playing with her dogs/cats you can find her somewhere on a bike, no matter the season. In her spare time she serves as the outreach coordinator for the Montana Bicycle Guild, a non-profit advocacy organization for trails, recreation and bicycling in Montana. Kristi is working as a K-8 Science Teacher on Special Assignment for the Bozeman School District. 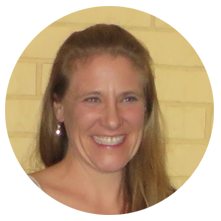 She is the President-Elect of the Montana Science Teachers Association and will represent Montana at the National Science Teachers Congress this July 2019. She has taught kindergarten, first, and second grades since 2005 in Bozeman. In 2017, she received National Board Certification in Early Childhood Education. Her degree is in elementary Education is from Montana State University. She lives in Bozeman, Montana with her husband Eric and two children, Keelan and Kenna, who can’t wait to attend Montana Learning Center every summer. Paige teaches high school social studies in Virginia Beach, VA. She taught high school social studies for 3 years in Fairfield, CT and worked for The Hole in the Wall Gang Camp in New Haven, CT from 2011-2013. 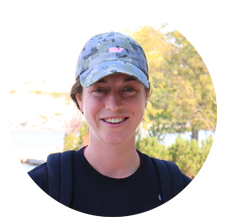 She has a Master’s in Teaching degree from Quinnipiac University and a bachelor’s degree in Sport Management from University of Connecticut. Paige lives in Virginia Beach, Virginia with her parents, sister, brother-in-law, two nieces, and one nephew. She enjoys running, golfing, tennis, and anything else active. She also loves going to the beach and being outside with her family. Chris has been a classroom teacher of United States history for 25 years. He teaches an advanced placement American Studies Program with David Nulf, several sections of Honors American History as well as “regular” U.S. History. 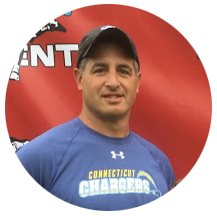 In addition, he is the head lacrosse coach at Fairfield Ludlowe High School in Connecticut and lacrosse coach for The Long Island Express Teams, and Gamebreaker Lacrosse Camps. Chris describes how he got involved with Montana Learning Center. “After reading Stephen Ambrose’s Undaunted Courage in 1998, I dedicated many years to researching the story of Lewis and Clark. My investigations took me to The Montana Learning Center, where I was trained by the famed duo, Gil and Marilyn Alexander. Their course on the teaching of Lewis and Clark unlocked my talents and opened up a world of opportunities to provide experiential education. Since 2004, I’ve been leading student expeditions for MLC. David lives in Fairfield with his wife, Katie. They have four children Olivia, Abby, Eliza and Ethan. Erinne has been teaching math, health and money management to middle school students for the past several years. Her primary focus is 7th and 8th graders. She received a Bachelor’s Degree in elementary education grades 1-9 with a math minor from the University of Wisconsin – Milwaukee. Her Master’s Degree in technological education is from Lesley University. After teaching first grade for one year in the inner city of Milwaukee, Erinne moved to Montana and taught grades 6-8 (all subjects) for two years at Avon Elementary School. She taught the Gifted and Talented Program her first year at Montana City School, before teaching 7th and 8th grade science and math for several years. She has also participated in Forest in Every Classroom and SILK. 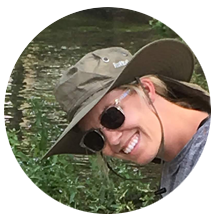 Erinne is looking forward to teaching at Montana Learning Center this summer with different curriculum and to spending more time in the great outdoors. Helena is home for Erinne and her three children, aged 18, 16, and 13. Her oldest is attending college at MSU-Billings and majoring in pre-med. Her middle school child is a sophomore at Helena High School and her youngest is in 7th grade at Montana City School. Erinne is engaged and planning to remarry in July. Her fiance is a Geospatial Information Specialist for the Lewis and Clark National Forest, Helena Ranger District. The family has three four-legged furry canine friends: Starr, a golden retriever, Carson, a yellow lab, and Vince, a German shepherd. Lauren is a social studies educator in Connecticut. A graduate of the University of Connecticut, she is now enrolled at Western Connecticut State University. She was an instructor for the 2018 Lewis and Clark Leadership course and is looking forward to teaching it again this summer. Being at Montana Learning Center gives Lauren an opportunity to live her passion and respect for the outdoors. We’re committed to keeping out staff small and personal. Everyone brings their own personal strengths to the STEAM curriculum. Our student to instructor/counselor ratio is 1:8. Each of our instructors and counselors are CPR & First Aid certified.